- Mother of the Blessed Virgin Mary. - Feast Day" July 26th. 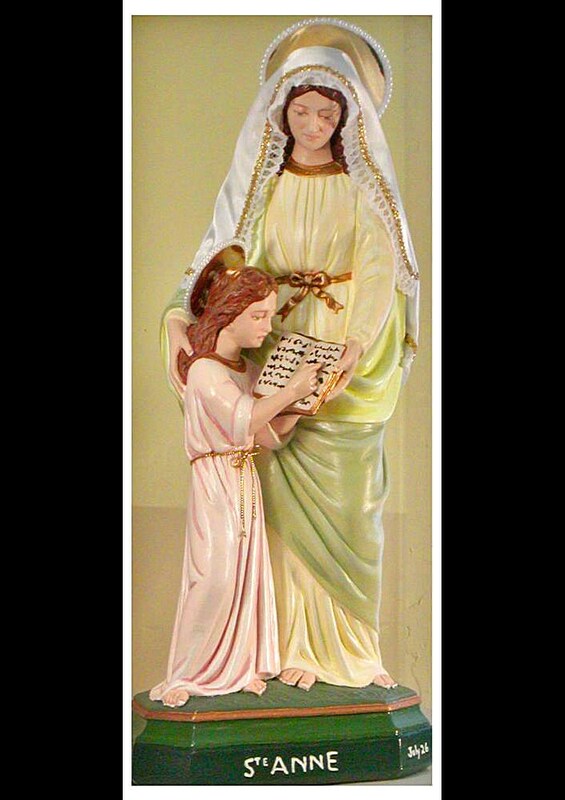 This most special two-figured statue features tender, loving hand-painted faces, hebrew-like writing in Mary's book, lacy cloth veil, and golden halos.